There are a lot of people who picture owning a pub as an idyllic answer to the question of what to do to escape from your current job. This dream is something that is definitely within your grasp and, if you do your research, there is no reason why you wouldn’t be able to make a success of it. This particular sector has a notable amount of competition. There are a lot of establishments that will be offering food and drinks to customers. It will be difficult to make sure that you stand out from the other pubs that are in your area. There are several ways that you will be able to do this, but they will all require that you put a lot of time in. Being successful in this industry means long hours and often working weekends and holidays. The marketing of your pub is no longer something that you can ignore now that there is far more competition. Have a look at online platforms that you can put your pub on in order to make sure that you appear in searches of people who are looking for somewhere new to go. If you are going to run a successful pub it will be to your advantage if you are familiar with the industry. Having experience with managing or at least working in pubs will mean that you have some idea of what is required to run a successful pub. If you don’t have the kind of experience that you think is needed to run a pub, then it might be worth spending some time looking for the right staff. Having an experienced, loyal and hardworking manager can be the make or break of your establishment. Good staff will also enhance the customer experience. The interaction that customers have with staff can be what brings customers back. Although many people who go into running pubs have done so in order to be their own boss, this doesn’t mean that you can relax on the business side of things. 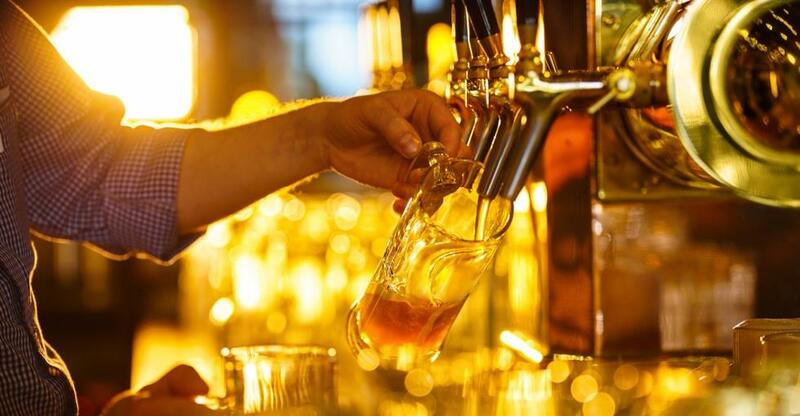 Understanding stock for a pub can be complicated and it is important that you keep this side of things in tip-top shape if you want to turn a profit. There are a lot of new technologies that can help you to run your pub more efficiently. POS systems can save you a lot of time and can help you keep track of stock and cash flow of your business. Make sure that you spend time with your customers and get to know them. You need to create an environment for your customers that they will want to come back for. Build relationships with them and find out if there are any things that you should implement that would help them enjoy their experience at your pub even more. You will also need to choose your suppliers carefully. The suppliers that you have are a vital component of running a good pub. You should shop around to make sure that what they offer you and the price that they are it to you at is a good deal. Running a pub is a difficult task but, if it is something that you are ready to put time and effort into it can become a rewarding lifestyle career where you are your own boss and your days are spent interacting with lots of people. The trick is to make sure that you have a clear business plan where you have looked at how it is you plan to make a profit. Rushing into the process is a sure-fire way of making sure that your business will fail. People often buy a pub because they are fulfilling a passion, but you should never let your passion get the better of your business logic. Keep in mind that if you are running a pub there are licencing requirements that will have to be taken care of before you can start serving alcohol. There are also regulations surrounding the establishment that you will have to become familiar with so it might be helpful to get the help of a lawyer to make sure that you are doing everything by the book. The most important thing is that you find the right pub. Take your time and look at as many places as you can before you decided on which one will be right.